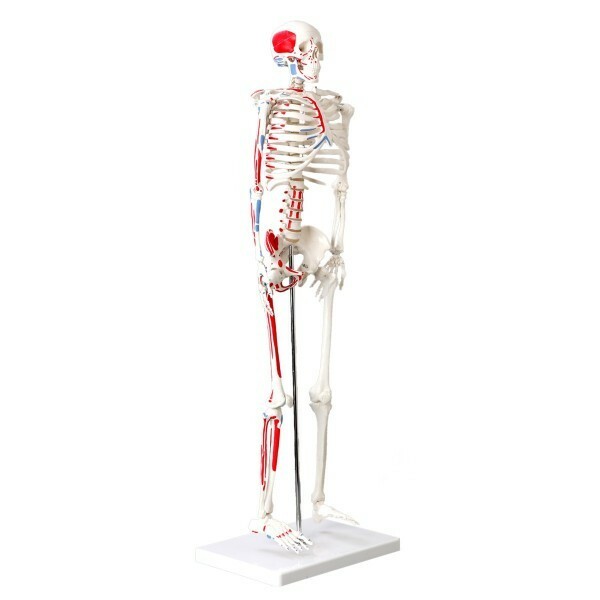 This Mini Skeleton has the feature of accurate details and high quality. The Arms and legs are movable. The skull 3-part, which can be taken apart into: cap, base, and lower jaw. Feature: The right side of the skeleton shows the points of origin (red) and the points of insertion (blue) of the muscles, hand numbered bones. Number key manual is included.